The University Modern Language Centre, Centro de Lenguas Modernas, located in the central and typically "granadino" district of the "Realejo", is housed in the old palace of Santa Cruz (16th century) which has been specially restored for teaching purposes. Since restoration was completed in 1992, the new Centro de Lenguas Modernas offers not only its now renowned Spanish Courses for Foreigners (Hispanic Studies Course (CEH), Spanish Language and Culture Course (CLCE), Intensive Spanish Language Courses (CILE), Intensive Spanish Language and Culture Course (CILYC), Spanish as Foreign Language Course (CELE) and Optional January Course (CCE)) but also a variety of Modern Language Courses (English, French, Italian, German, Catalan, Arabic, Japanese, Portuguese, Russian and Swedish). It is the combination of the two that make the centre such an original venture; here foreign students can share their daily lives with those of Spanish students, thus stimulating a mutual interest in their different languages and cultures. This contact is strengthened through a language exchange service, which gives students the opportunity to practice their Spanish outside the classroom and by cultural visits and activities. In addition to the aforementioned courses, the Centro de Lenguas Modernas also offers courses in Teaching Spanish, German, French, English or Italian as a Foreign Language, exams for those who wish to certify their level of Spanish (D.E.L.E. - Diploma in Spanish as a Foreign language - organised by the Instituto Cervantes). Teaching Business Spanish and other types of language courses for special purposes, including those specially designed in conjunction with different academic and professional institutions, are also available. 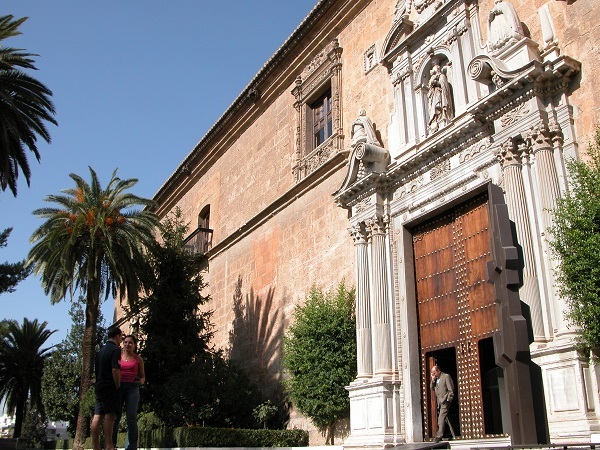 The Centro de Lenguas Modernas and the University de Granada do their best to make the students' stay as pleasant and advantageous as possible: the Language Exchange Service, the Accommodation Service, an organisation of cultural and sports activities are just a few examples. On the academic side, the highly qualified teaching staff are specialised in language teaching and include University of Granada professors and lecturers. The Centre is fully equipped with a library, the most up-to-date audio-visual aids both in classrooms and in language laboratories set up for multimedia and audio-video activities. Furthermore, students have access to electronic mail. With a firm commitment to constant improvement always in mind, the Centre carries out external surveys periodically, which assess the teaching staff, the contents of the different courses offered, and the quality of the Centre's management and infrastructure. The Centro de Lenguas Modernas main goals are the dissemination of the Spanish language and culture and the integration in city life of the multicultural community who visit Granada thanks to the trust they place in our institution. We work day by day to improve the quality of the teaching and services we offer. In the foreign language section, CLM's main objective is to provide quality teaching based on a communicative approach and the appropriate tools for our students to acquire the invaluable ability in today's society to communicate in a second language in the shortest time possible. If you want to study Spanish in Granada, the Intensive Spanish Language Courses (CILE) are designed for those students who wish to start learning or improve their Spanish during a short stay in our country. An essentially communicative approach is followed in these courses along with the use of the most up-to-date audio-visual technology. The average number of students per group is 12. 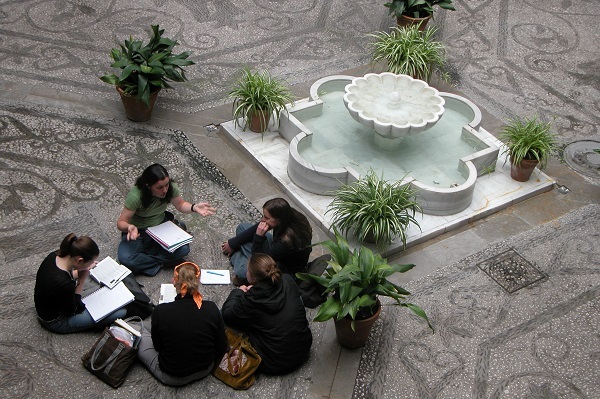 The University of Granada Modern Languages Center (CLM) is one of the leading institutions in Spain in the field of laguage learning. It is one of a kind thanks to its highly-qualified and specialised teaching staff. Using a communicative approach, special emphasis is given to interaction in real-life situations. The Center's installations located in the old Realejo District, consist of two main buildings: the beautiful 16th century Palace of Santa Cruz and the Huerta de los Angeles Mansion. Both combine the beauty and warmth of historical buildings with the most modern technical equipment.